Researching the proper keywords is crucial for achieving your best SEO results. Our Keyword Magic tool offers you millions of ideas on your path to finding the perfect keywords for your campaign. Today we’re ready to make this process even easier. 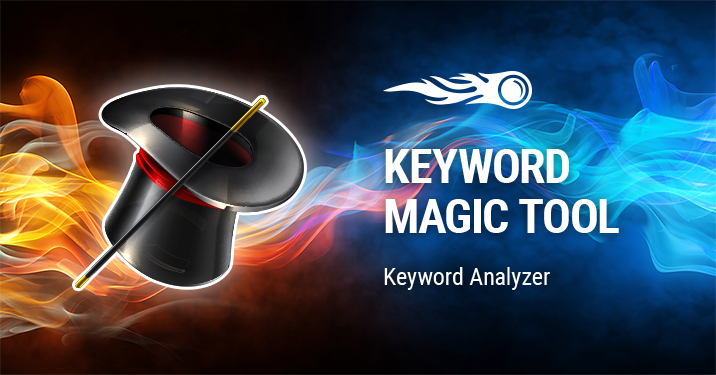 Meet the new Keyword Analyzer feature, which has recently been embedded into the Keyword Magic tool. Our Keyword Analyzer will help you dive deeper into the world of keyword research. Choose a group of keywords you would like to work with, filter and sort them using our handy filters, and then export them by clicking the ‘Add to Keyword Analyzer’ button. Currently you can add up to 1,000 keywords to the Keyword Analyzer. In the Keyword Analyzer, you can see the new valuable metrics. One of the most interesting is Click Potential – the likelihood that your keyword is clickable. The incredible thing is that the Click Potential, Keyword Difficulty and SERP features can be updated in no time. After clicking on the 'Update metrics' button, you'll be shown updated metrics and top organic results for your keyword. Welcome to a new keyword research laboratory. We’re planning tons of updates in the near future. Stay tuned!